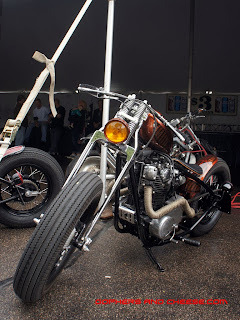 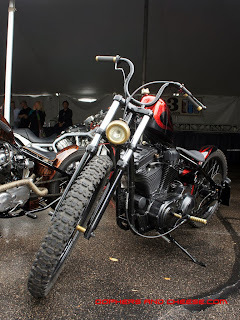 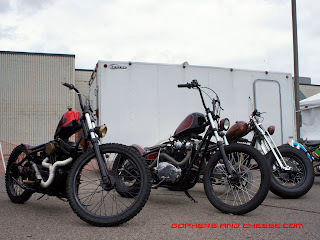 There was a pair of beautiful Yamaha hardtailed choppers at Scooter Trash 3. The first up is red and black with lace... not unlike a certain bike I know. 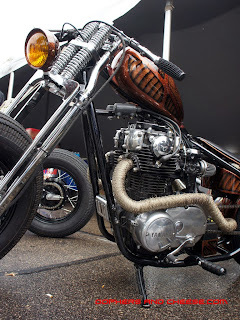 Right next to it was another fantastic Yamaha, this time in more of a root beer brown. 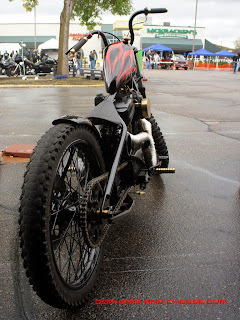 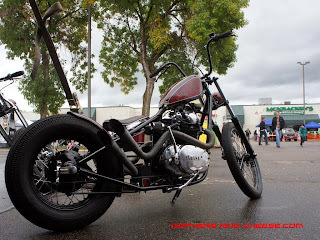 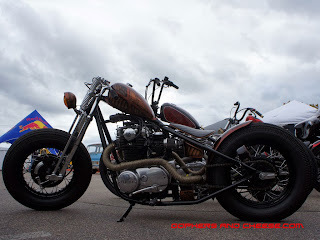 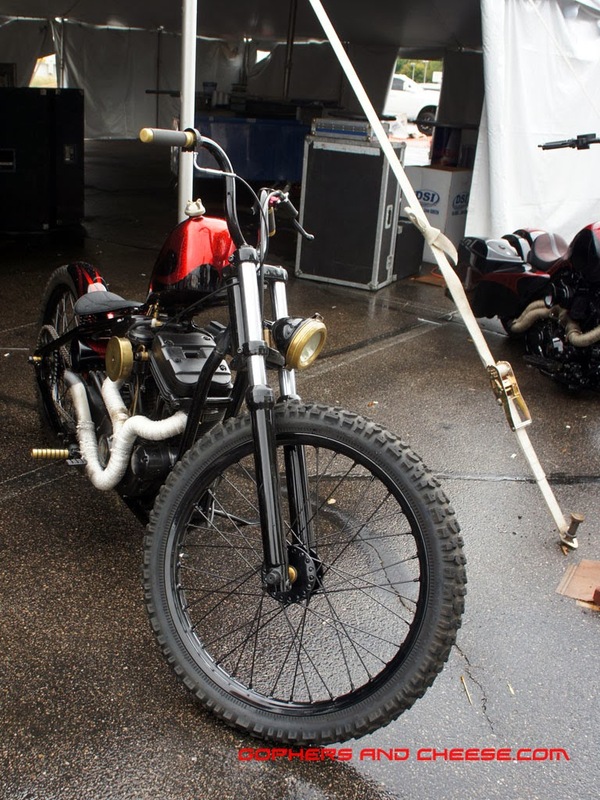 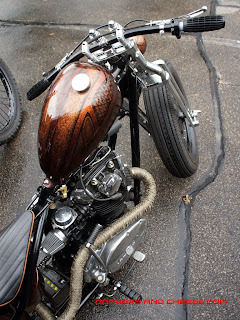 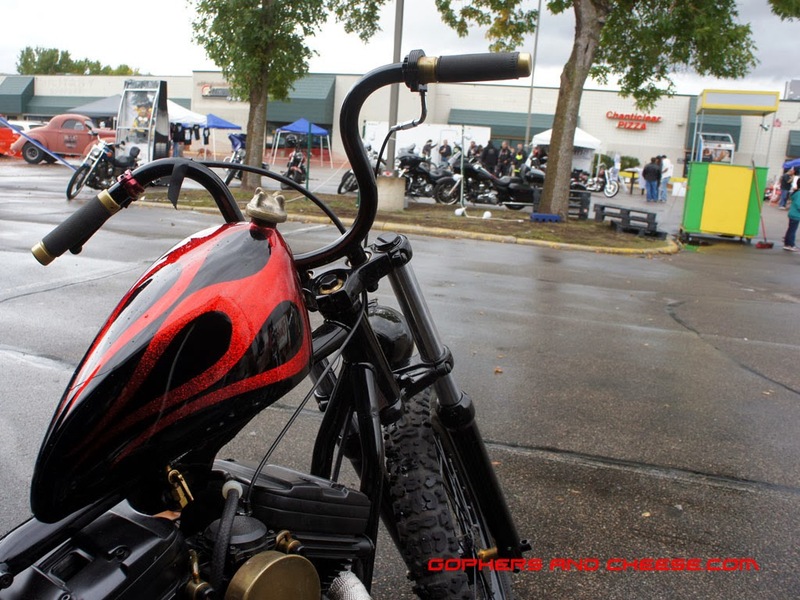 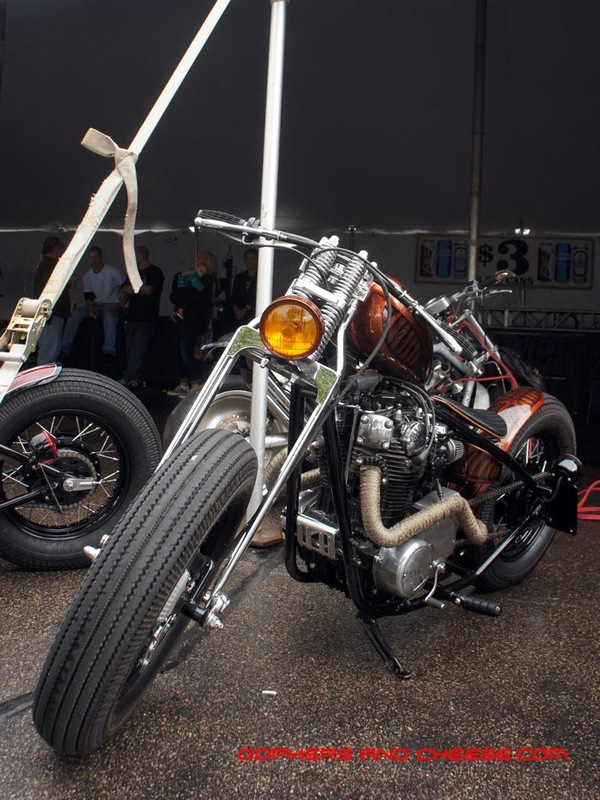 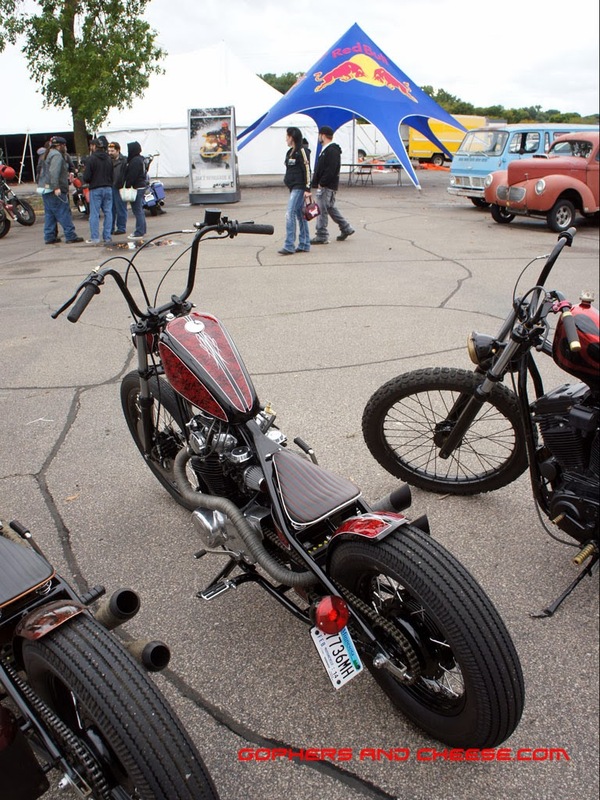 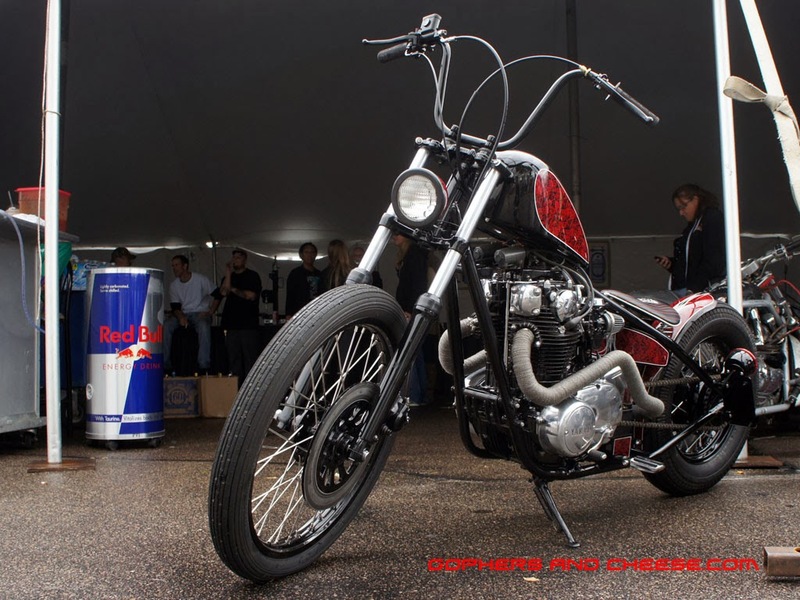 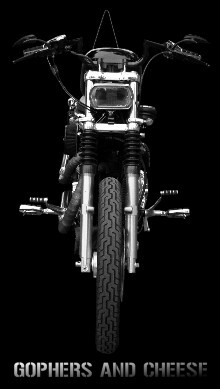 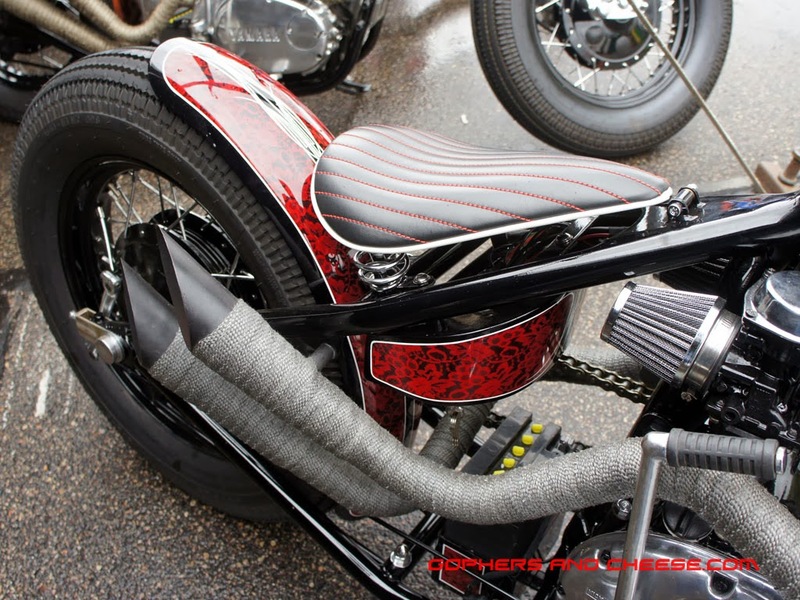 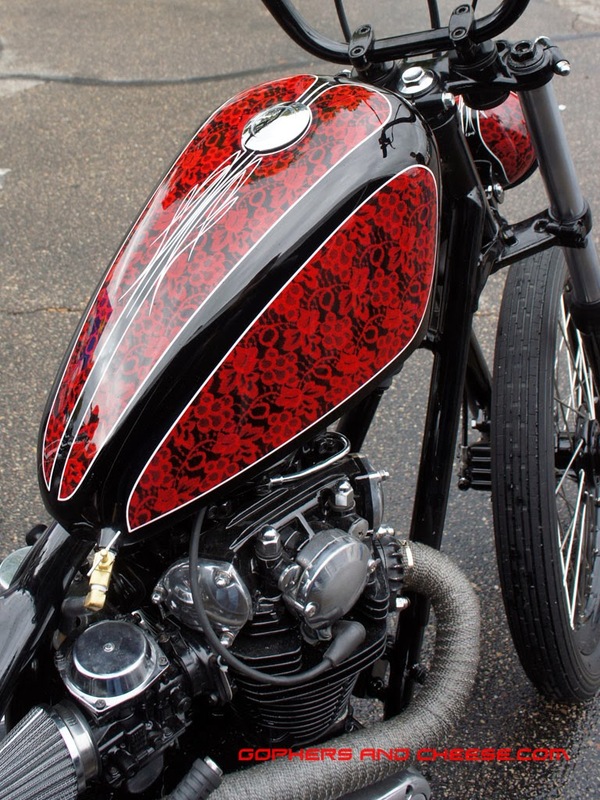 Next to those bikes was this skinny, almost boardtrack-looking Sportster built by Brett Ohland of Two Eight Customs. 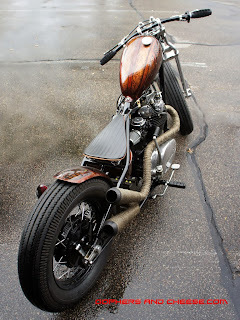 Brett did a monster burnout on a different Sportster, which I will dedicate two entire posts to later. He did wheelie this Sportster up and down the street though. I totally missed it when he was doing it live but saw the videos afterwards. 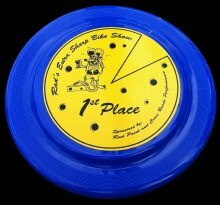 The man can put on a show. 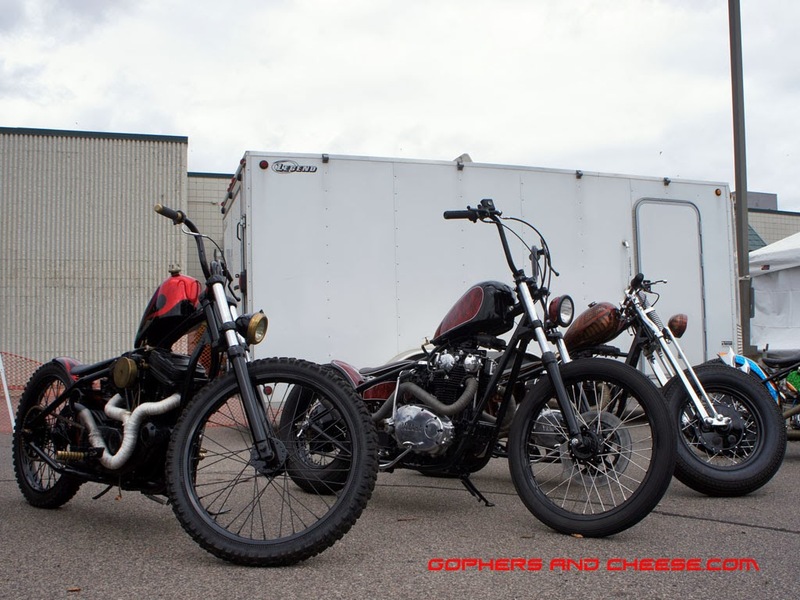 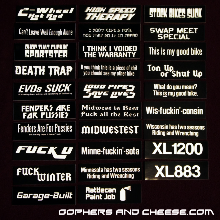 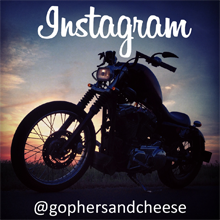 Before I get to the burnout, the rest of the Sportsters are up next.